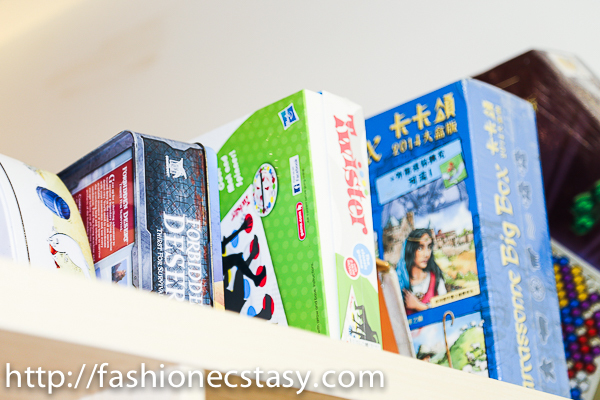 Although Taiwan or Asia in general is filled with geeks and geek culture, Board game geeks are relatively less common in Taiwan. We seem to care more about online games and promo girls (please correct me in the comments if I’m wrong). That’s why many geeks spend most their time watching promo girls play computer games online- A combination of the both! I have loner geek inside me who constantly looks for places to kill time and escape reality. 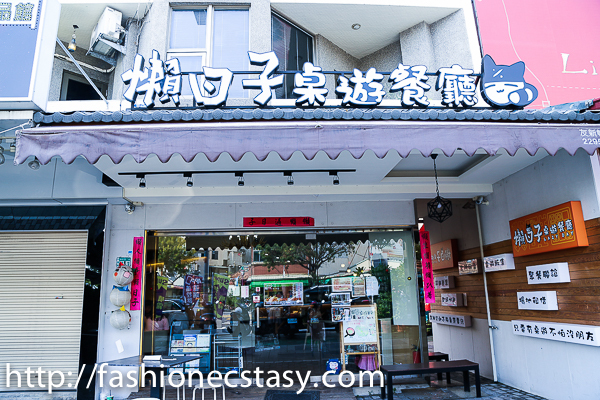 I never knew board game cafes were available in Taiwan until I learned about Lazyday Table Dining Restaurant. LazyDay has two shelves filled with board games to choose from. A stereotypical geek in Taiwan stays home and watch comic books/animation or plays computer games all day. I don’t think they have the time or need to learn another language.Curious to see if English speaking geeks existed in Taiwan, I walked in Lazytable and requested for a table in English. I didn’t get the employee (who attended to me)’s name. Self-introduction is not common in Taiwan. My physiotherapist still hasn’t told me his name after nine months. Since I don’t know his name, I will refer to him as “Mr. X.” Mr. X passed my test and introduced me to the back shelf of board games to choose from. I spotted “Twister” and pointed at it just to give him a hard time. There is no way the space can fit a Twister matt on the floor. He stuttered, and I revealed that I was joking after enjoying the look of his “Oh-snap–face.”We were a party of three, so Mr. X picked a game suitable for groups of 3and above for us. Friendly enough, he volunteered to join us as nobody in our group was familiar with the games (I guess I’m not qualified for a geek, anyway). Initially, I gave his English level a 7 out of 10, but after he successfully scored three words in the game Alias with me in a very short time, and taught my post-stroke cognition how to play Geschenk’s, I’ll give him an over-the-top 20-out-of-10 for his patience. The menu consists of casual Italian fare like pizzas, risotto and deep fried finger food/snacks that go well with a lazy board-gaming day. On top of the orders, the restaurant charges on a timing basis. On weekdays they charge $40NT/person per hour and on weekends/holidays $50NT. The price is clearly written on the menu with English translation.It is pretty straightforward and easy to understand, even for a first-time traveler/foreigner. Minimum order is 1 drink and 1 hour.